On Monday 16th September, The Earl & Countess of Mornington, Anna Wintour, Livia Firth and Natalie Massenet hosted a reception to celebrate The Global Fund featuring five designer dresses by Christopher Bailey, Christopher Kane, Erdem, Roland Mouret and Victoria Beckham as part of the Green Carpet Challenge. 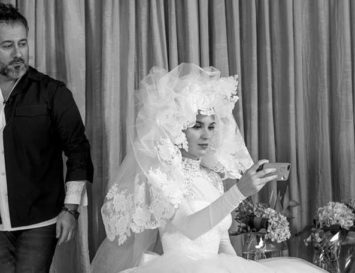 Guests included David Beckham, Stella McCartney and Daphne Guinness. Jefferson Hack, L’Wren Scott and several cast members of the British TV hit, Downton Abbey. 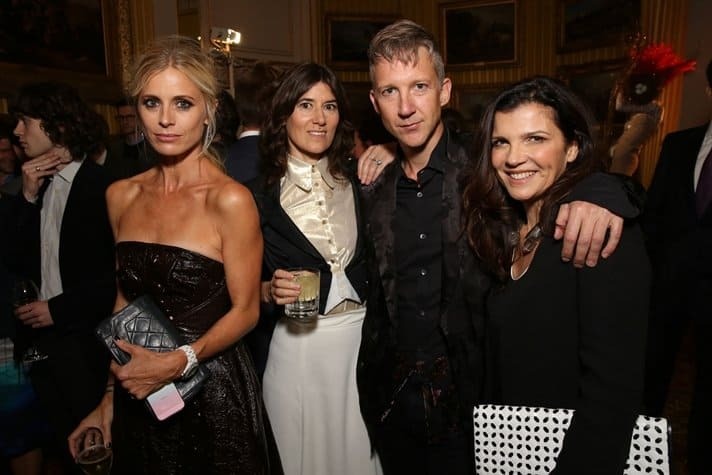 Livia Firth’s latest charity initiative was presented in London during Fashion Week this season. 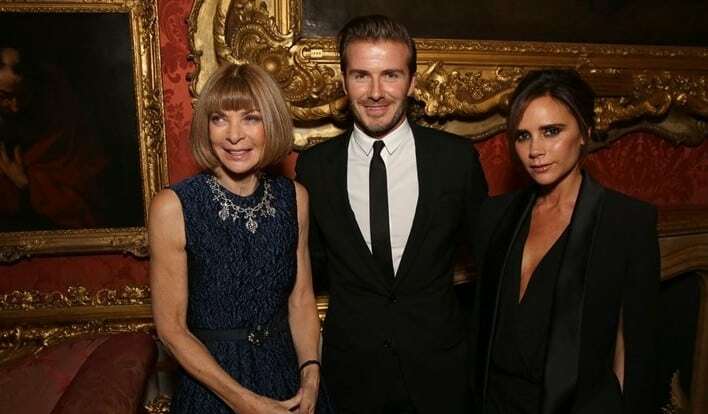 The Global Fund event was hosted by Firth and the Earl & Countess of Mornington, Anna Wintour, and Natalie Massenet. 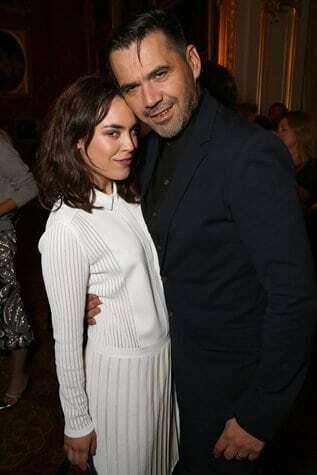 A highly fashionable, very glamorous crowd including the Beckhams, Daphne Guinness, Laura Bailey, Natalia Vodianova and participating designers, such as Victoria Beckham, Christopher Kane, Erdem Moralioglu and Roland Mouret all sipped on champagne whilst discussing sustainable fashion. David Beckham wowed the crowd with his new tattoo: an homage to his wife, Victoria, in calligraphy on his left hand. 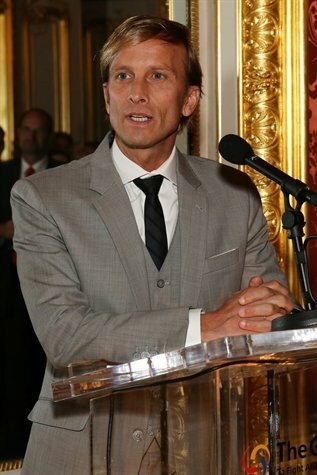 The designers were all challenged to create a sustainable evening gown and cocktail dress in accordance to the standards set out by Firth’s Green Carpet Challenge. Each piece would later go on sale at Net-a-Porter.com, with 20% of proceeds going to RED. RED is the initiative set up by Bono and his wife, Ali Hewson, the creator of the fashion brand Edun, to help African development. The Global Fund is the organisation that spends the money raised by RED to help tackle AIDS, tuberculosis and malaria in Africa. However, RED has been criticised lately: it cost an estimated £50million to set up, but has raised far less than that for the needy. For that reason, many have said that charities such as RED would be better off simply donating money directly to the poor. We’d have to agree. Additionally, whilst we admire the challenge and the event, it would be even better if the designers made their entire lines more sustainable. After all, if the young designers in the EcoChic challenge all claim that participating in the competition inspired them to change their working practices for the better permanently, couldn’t the more established designers do the same?